As the treatment progresses, you’ll first begin to see changes in length. Then, gradually, you’ll notice more thickness and darkness in your lashes. If you’re satisfied with your results by week 8, don’t stop there. Stick with the treatment. After week 16, you’ll see the full effect of LATISSE® solution — and so will others. After that, you can talk to your doctor about ongoing use. If you’re using LATISSE® solution and you develop a new ocular condition or reaction (e.g., trauma or infection), experience a sudden decrease in visual acuity, or need to have eye surgery, be sure to talk to your doctor immediately concerning the continued use of LATISSE®. If you use/used prescription products for eye pressure problems, use LATISSE® under doctor care. LATISSE® may cause increased brown pigmentation of the colored part of the eye which is likely permanent. Eyelid skin darkening may occur and may be reversible. Only apply at the base of upper lashes. DO NOT APPLY to lower lid. Hair may grow on skin that LATISSE® frequently touches. 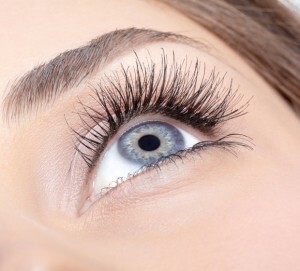 If you have eye problems/surgery, consult your doctor about use of LATISSE®. Common side effects are itchy and red eyes. If discontinued, lashes gradually return to previous appearance.You are encouraged to report negative side effects of prescription drugs to the FDA.